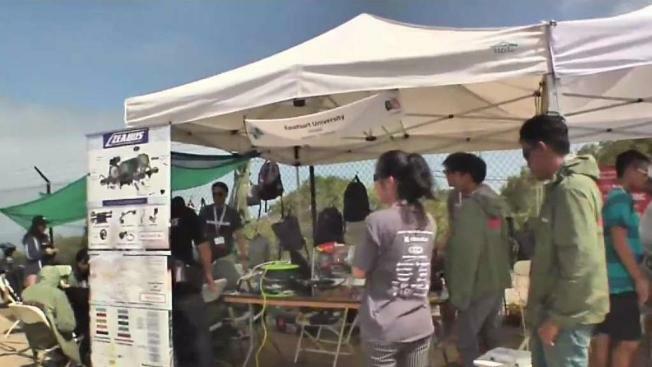 Chinoros Nakthewan and his robotics team from Kasetsart University in Thailand are competing in the Robo Sub Competition at the Naval Health Research Center in Point Loma this weekend. “I think that robots is a cool thing that everyone should know that it can help us, it can make our life better,” he told NBC 7. And Nakthewan would know firsthand. His team was asked to help in the rescue of the boys soccer team trapped in a Thai cave last month. “This is the first real mission that I used to and actually I am proud that I there and we do our best,” he said. His team was onsite for six days with their vehicle and drone. The vehicle wasn't used because of the depth and muddiness of the water, but they were able to provide sonar imaging to create a map. All 12 boys and their coach were rescued alive from the cave. Nakthewan’s is one of 47 high school and college teams competing for a total of $20,000 in prizes. All of the teams have built submarines that navigate autonomously through an underwater course.